Thoughts are really powerful, but maybe not in the way you think. I got a call on Tuesday night from my brother that he and his wife had taken my mom to the Emergency Room because she was disoriented, couldn’t remember anything, and couldn’t function. Of course, Meenal and I immediately drove to LA to help support them and my mother. Fortunately, it wasn’t a stroke, but was actually severe dehydration from the fever and flu she had been fighting for a few days. A day or so later, caring for my mom in the hospital, I noticed frustration coming up in the form of blaming thoughts. My story was around how she doesn’t take care of herself (doesn’t properly hydrate herself and doesn’t manage her blood sugar – she is diabetic) and the impact of that on us. In meditation the next morning, I got a clear image that this might be the beginning of the end of this life for her. At coffee with friends that morning, a lot of sadness and tears came up around that thought, as I told my friends about my meditation image. At some level, I probably realized for some time that the severity of the symptoms she experienced were signs of what could become everyday reality for her as she ages, but I wasn’t consciously aware of it. The thoughts that came up (which sounded like blame and me becoming a victim to her inactions) were a pointer to that sadness and realization that I was avoiding by covering it with blame. 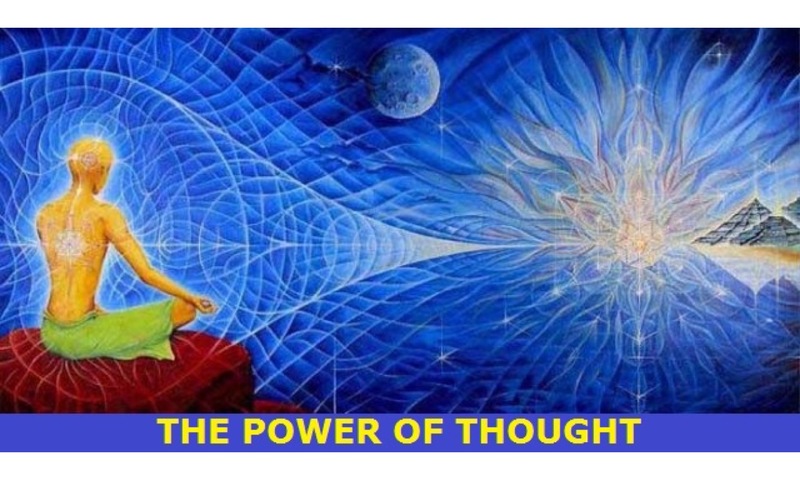 I had another related experience recently of the power of thoughts. I posted on a group thread for my men’s group about my mom’s hospitalization. My post was followed by my friend John’s post requesting a status on another friend’s parental illness, with no acknowledgement of my post. I immediately went to “WTF, my situation doesn’t count”? I stuffed the annoyance and the feeling of not being heard. When I met John at our weekly group meeting a few days later, he was running a bit late. I immediately started silently blaming him for not respecting everyone’s time. Like a spark igniting dry tinder, I was having thoughts of what an a**hole he was. Fortunately, I was able to realize pretty quickly that the thoughts I was having were actually not about what John did, but were related to the thing I didn’t say to him about not feeling heard about my mom’s hospitalization and my related thoughts. Suppressing that feeling and those thoughts led to an escalation – that quickly, I had created a story of John as an a**hole and I was looking for evidence to support that story. And of course, when I am looking for evidence, any small infraction will suffice. Heck, I have even been guilty of manufacturing evidence to support my beliefs. Having judgmental thoughts are not bad – they are actually clues to the feelings and truth that underneath. Using those thoughts to explore and find those feelings and speak those truths is my way to stay free from judgment and story about the people I love. Staying free to experience more love is part of my practice – what’s yours?